“Interstellar” exudes magnificence through its visuals, cinematography, sound, and cast, but even those qualities aren’t enough to reach the stars that it longed to see in person. At first glance “Interstellar” seems equipped to succeed, an impression solidified by the reassuring presence of Matthew McConaughey, Anne Hathaway, Jessica Chastain, and Michael Caine. With Christopher Nolan sitting in the director’s chair, it is only natural for a moviegoer to gravitate toward this film’s chances of victory, which appear to be in the bag. And why shouldn’t it triumph, given its epic premise? Everything about it spells big and grand: a team of astronauts traveling into outer space to see if humanity can leave a resource-depleted Earth behind and find a future among the stars. Surely that is a guaranteed win? Not from where I’m standing. 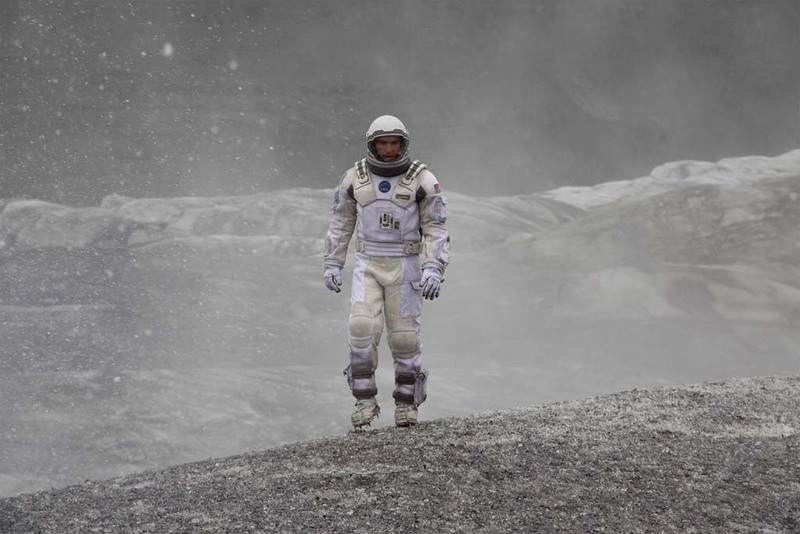 Sorry to cancel your trip, Nolan and co., but “Interstellar” is not really cut out for exploring the unknown. Why? Well, let’s take a look. For one thing, “Interstellar” progresses at a slow pace, too slow to the point where you feel underwhelmed not too long after McConaughey and his crew leaves Earth. Even when you factor in the inherent perils these resilient explorers face throughout their undertaking, the lengthy runtime of 169 minutes becomes more time-consuming than fascinating. Moreover, there really isn’t any tangible tension until the onset of the film’s climax. But wait — what about before that? Maybe a scene surging with adrenaline or two, yes, but there is little they can do when the severity of the situations for both the astronauts and the people back home is perceptible mostly at the beginning and toward the final part. I should also mention that “Interstellar” is VERY scientific, so expect to hear discussions related to wormholes, relativity, and other mind-boggling physics concepts. I wouldn’t be surprised, however, if audiences find themselves spending more time trying to make sense of the science rather than following the plot, like I did. And then we have the perplexing outcome, one that I still find myself struggling to understand. I don’t want to step into spoiler territory, but should the conclusion throw you for a loop and plant the question “What the heck?” in your mind, don’t be alarmed. I, too, experienced a similar reaction upon sampling Mr. Nolan’s latest project. You’d think “Interstellar” would plummet to its launch pad due to these glaring errors. Although it is evident that this intergalactic odyssey cannot complete its objective, there are several plus points that prevent it from freefalling. The all-star cast imbues this prolonged venture with compelling emotion, creating a lasting camaraderie. McConaughey takes the cake for instilling a very human sensibility in the widowed engineer Cooper; his co-star, Hathaway, proves conversant with the subject matter, and thus handles herself well in illuminating Amelia Brand’s dedication and intelligence. Nolan regular Caine is as eloquent and reliable as he has always been in his portrayal of Professor Brand. As for Chastain, she brings an active determination to the character of Murph that helps to highlight the pain she (and everyone else) feels from not knowing how the mission will turn out as humanity’s predicament worsens. Finally, the illustrative majesty of “Interstellar” must not be ignored; whether you’re a space buff or not, there’s no denying the impressive layout of the Endurance spacecraft and the various untold phenomena encountered by the crew throughout their voyage. And with pristine IMAX film photography and what I like to call “the ultimate sound” accentuating such a spectacular display, there is much to be appreciated about the film’s technical aspects. At the end of the day, though, “Interstellar” is a rare motion picture in which figuring out its long-term destiny is…complicated. It has sufficient power to go to the Moon, yet also considerable malfunctions to thwart any attempt to leave the Solar System. I’m not disappointed, but I’m not blown away either. It is true that Mr. Nolan has crafted a bold cinematic endeavor; the experience might be worth checking out at least once. Even so, I don’t think it qualifies as the grand accomplishment it claims to be. It just isn’t. And that’s that.